Young Woman Collecting Water In Basin From Ceiling. Ceiling Panels.. Stock Photo, Picture And Royalty Free Image. Image 66391578. 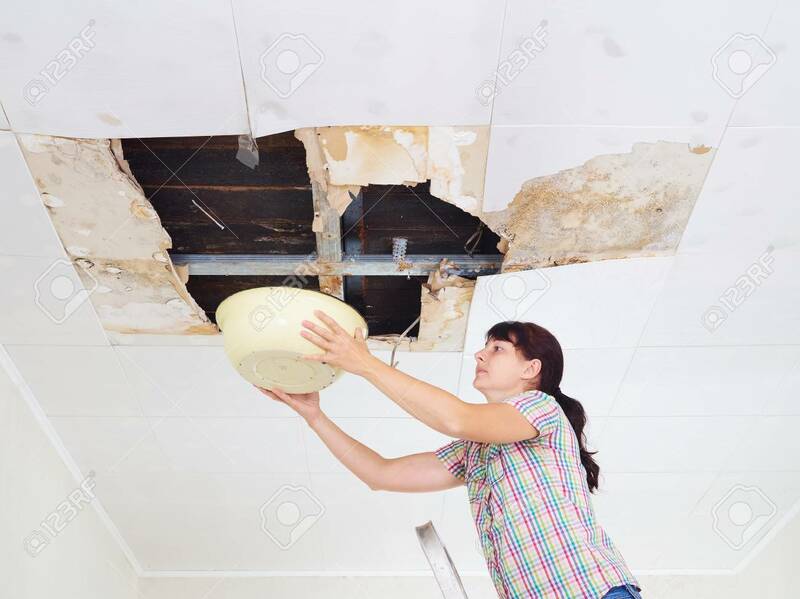 Stock Photo - Young Woman Collecting Water In basin From Ceiling. Ceiling panels damaged huge hole in roof from rainwater leakage.Water damaged ceiling . Young Woman Collecting Water In basin From Ceiling. Ceiling panels damaged huge hole in roof from rainwater leakage.Water damaged ceiling .